I know that it is supposed to be winter but California has been having other ideas on that subject. We have been enjoying 70 degree sunny days. I know that the ski resorts are doing Indian dances for snow and I know my yard could use some water but it is nice to see the warm sun everyday. My philosophy on rain is; if it rained every evening while I sleep but I awoke to a sunny day I would be a happy camper. Although it would be nice to have a rainy weekend so that I could catch up on all of the shows I’ve DVR’d. On Friday, I had a craving for homemade vanilla ice cream. It is super easy to make and with the new ice cream makers there is no ice or salt involved. 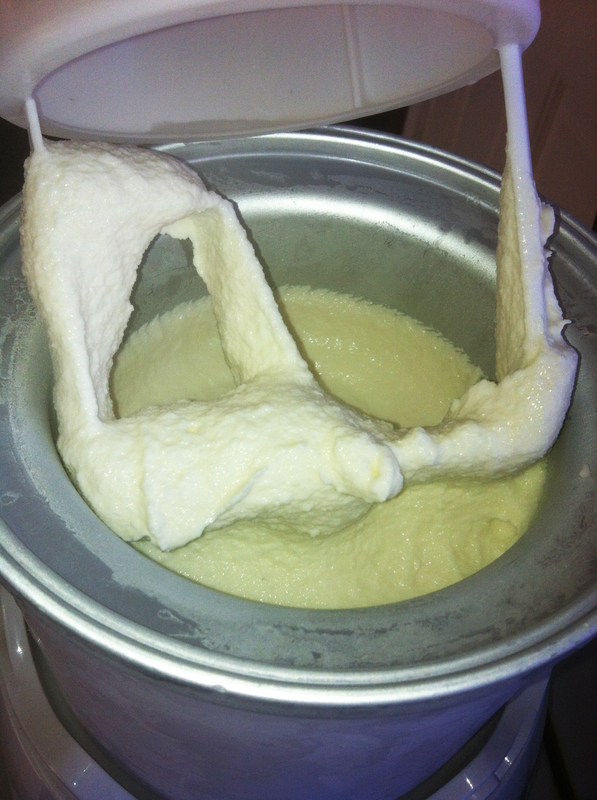 Just 25 minutes of churning and then yummy dessert is ready. I use a Cuisinart Ice Cream Maker. It takes a minute to mix the ingredients and then place them in the pre-frozen bowl. I usually put it on for 25 minutes then add any chocolate chips or other additions, let it run for 5 more minutes than transfer to tupperware and put into the freezer for a couple of hours. You can eat it right away but it is more like a soft serve at that point. Mix ingredients and then pour into the freezer bowl. Turn on and mix for 25 minutes, transfer to an airtight container and freeze for about 2 hours. 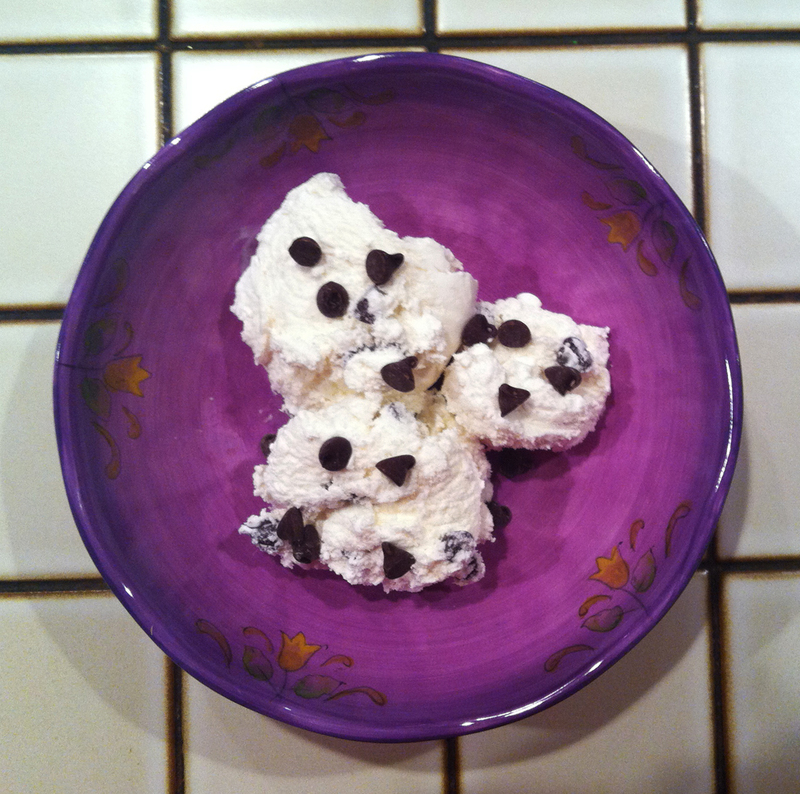 Here is a link to the Ben and Jerry ice cream cookbook, yum! You can also find tons of great recipes online.